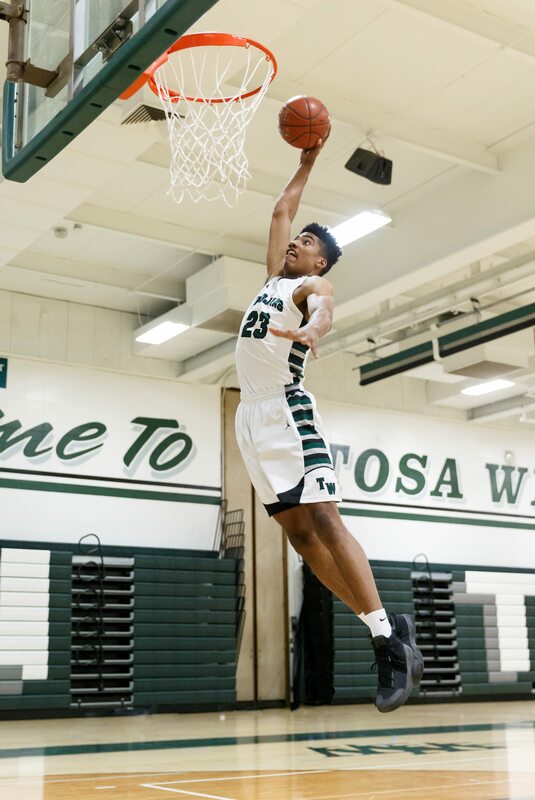 When the late Mike Landisch first saw Alou Dillon at Whitman Middle School, he knew eventually the Wauwatosa West basketball team would have a special player. Landisch, who lost his battle with cancer in 2011, got Alou involved with the varsity as a team manager recalled a choked up Trojans coach Chad Stelse. "Coach Landisch and I knew right away he was a good character guy," said Stelse, who has coached at West for 12 years, the last six as Landisch's replacement. "Mike couldn't say enough about him. Most of the varsity would go with coach Landisch and I to watch his AAU games. Coach was the last connection (with Alou). I'm sure he's looking down and is proud to see his development. I get emotional when I realize he didn't get to see what he's turned into." What Dillon has turned into is a 6-foot, 8 inch, 205 pound basketball player, who has earned a Division 1 Scholarship at South Dakota State University. Dillon showed promise his sophomore year (10.0 points per game), but he hurt his knee. "He could have been the difference for us that year," Stelse recalled. "We beat Pius XI in the regional semi-final, but then lost to Wauwatosa East, 56-54, in the regional finals. He really wanted to help that senior class get to state. I could see he was ready to go." Having missed that time, Dillon was ready to go when he got healthy again. "Going into summer I picked it up again going into AAU," he said. "I really got my confidence back. Going into my junior season I felt it was my time to step it up to the plate. I felt this was the year I could take over and be a big part of this team." But in the second game of the season, any chance Dillon had of sneaking up on teams went out the window in a 63-61 overtime win at Brookfield East. Dillon scored 41 points, including the winning shot on a leaner on the baseline. He had 10 field goals, was 3-for-3 from the free-throw line and he hit six 3-pointers. He had one 3-pointer at the end of the half and another late in regulation. "The whole conference saw what he did at that game and they keyed on Alou every chance they had after that," Stelse said. "They would double, triple team him, but he still had a huge season." Last season Dillon was unanimous First Team All-Conference and he was also Honorable Mention All-State, averaging 19.8 points per game. 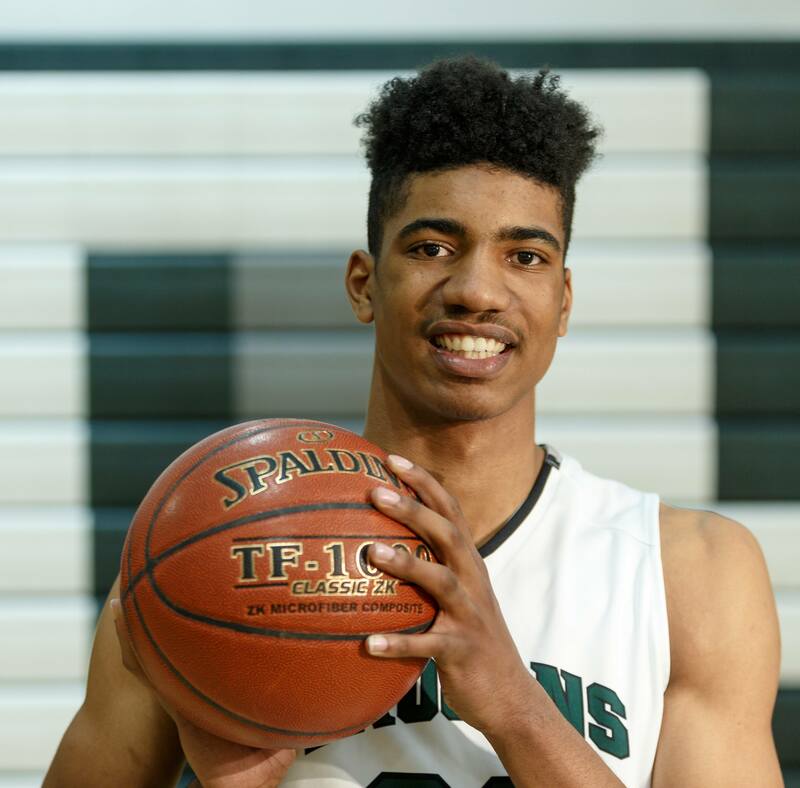 His 448 points last year came within 12 points of breaking the single season scoring record at Tosa West. He had 596 total points going into the season. Dillon talked about his shooting strategy. "I like to play inside-out," he said. "Once I get a couple buckets easy, I know my defender won't know I can shoot a 3, so I get him on both. I think I'm unstoppable. I like the 3-point game a lot. That is one part I'm working on so I can really perfect my game. That causes a lot of mismatches and teams have no idea how to guard that." But despite his overall numbers, Dillon was not pleased with the final results, as Tosa West finished 12-11 overall record. "For most part I wasn't really happy," he said. "I think we could have done better. It was a new group together. We were inexperienced and we lost a couple close games, overtime. In the first four games this year Dillon scored 17 points per game, adding 68 more points to his total (664). He shot .545 per cent from the field, .462 from the 3-point line and .778 from free-throw line. His all-around game has improved as he's averaged 9.0 rebounds, 3.7 assists 2.3 blocks, and 1.7 steals per game. Looking to his senior year, Dillon talked about his strengths and what he has to work on. "I also say blocking shots," he said. "I'm a great defender. I can time a lot balls going in the air. I think that's the most effective part of my game is my defensive style. Stelse also talked about Alou's pluses - mentally and physically. ​"He has a high basketball IQ," he said. "He is not only talented, but a good decision maker. He can score on the perimeter or down on the block and he has a mid-range game. That's why he is so tough to guard. More often times than not he's going to make the correct basketball play." Stelse did point out that his talented forward still has some things to work on. "Being more aggressive," Stelse said. "He needs to assert himself from the opening tip. Last year if they put a box and one on him, he would disappear for portions of the game. Haven't seen that yet. So he needs to be assertive every single possession that he's out there. "In certain situations I would rather see him take the shot. We teach making the extra pass. But when you have a guy who is arguably the one of the best, you want to have the ball in his hand at key points." Being a senior, Dillon needs to bring out another part of his personality - leadership. "I have to be more of a leader. Last year I shied away from being more vocal," he said. "It's just not my personality. But this year I have to be more vocal because the guys listen to me and respect me. I need to use my voice more in practice. Get on guys who aren't doing the right things. "If somebody needs a boost in confidence, a pat on the back - when they do the right things or when they mess up - I need to be there for them." Dillon is also quick to answer questions for his teammates when they come to him. "I lead by example first and I'm vocal second," he said. "I'm not afraid to show someone what to do. I'm like a second coach. A lot of guys come to me and ask questions. I think I give them good advice and they do what I tell them to do. I try to do a better job of helping out everybody." Stelse also pointed out how Alou is off the court, as one of the awards he won last year was the Thomas Steiner Award, named after the former principal who died of cancer. It goes to the player who also works with the community and is good in the classroom. "He is good in classroom as well as the community," Stelse said. "I know how thrilled he was - it was no-brainer for him to win the award. "I'll give you an example. During the off-season he played an AAU game on a Friday, two AAU games the next morning and then still made it to my basketball camp in the afternoon. "I can't say enough about Alou's character. Landisch saw it back in class in middle school. A soft spoken, nice kid who looks out for others as well as himself. "One that we're excited to have in our program. He challenges himself. He gets it done." FAVORITE MOVIE: Home Alone, Comedy. FAVORITE PLACE YOU VISITED: Dallas. WHAT DO YOU DO TO RELAX? Video Games, Watch TV. MOST MEMORABLE SPORTS MOMENT: Beating Tosa East last year for the first time in several years. WHAT WOULD YOU LIKE TO DO IN THE FUTURE? Attending South Dakota State University on a Division 1 Scholarship. Study Business.